Mushkin has been updating infusing its product line with 3D NAND, but that’s not all they have been up to. While doing that, they have been pushing to make SSDs cheap again. 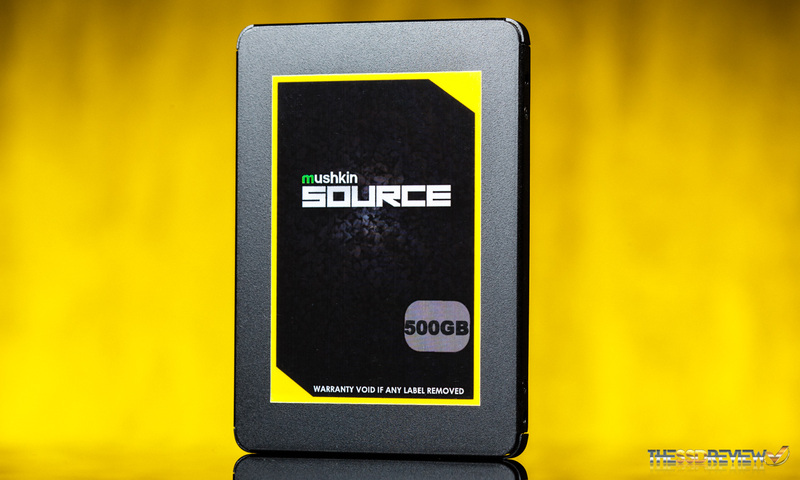 Their latest offering, the Mushkin Source, is selling for as low as $28.99 for the 120GB and just $158.99 for the 1TB model! If that’s not something to write home about, we don’t know what is. The Mushkin Source comes in at these very low prices thanks to being built with Micron’s 64-layer 3D TLC NAND and Silicon Motion’s SM2258XT controller. The SM2258XT is an entry-level, 4-channel SATA SSD controller that is DRAMless in design. This means that it doesn’t utilize a DRAM cache for Flash Translation Layer (FTL) acceleration like most. An FTL, for those who don’t know, is basically the translator that tells the operating system where the files are on the NAND so that it can as access them as it normally would on a hard disk drive. 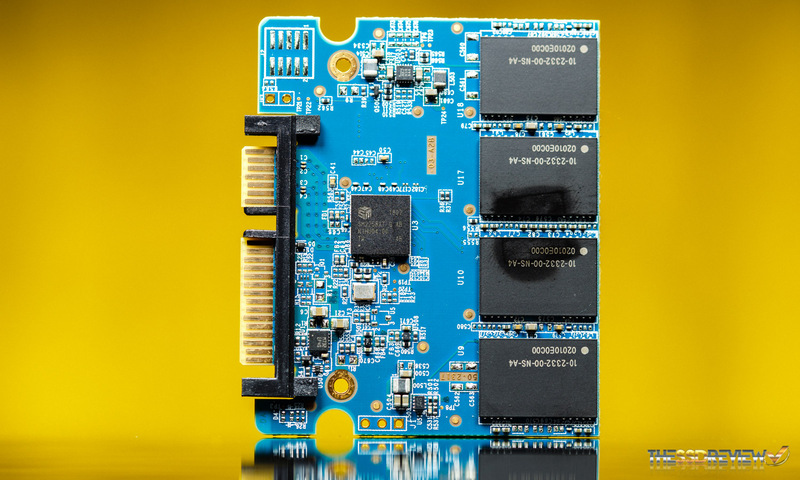 Because the controller doesn’t utilize DRAM cache, SSD manufacturers don’t need to include DRAM in the SSD’s design. Also, since the controller is a simpler design with less NAND flash channels, it is cheaper to produce too. This, in turn, can help to save them money on manufacturing, as well as save the end consumer a few bucks. There is a catch to this; you always get what you pay for. Having the FTL reside on the NAND flash negatively impacts performance capability since NAND is much slower than DRAM. 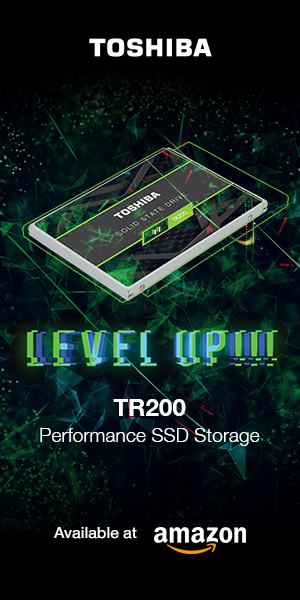 Traditionally, we have seen DRAMless SSDs provide lackluster performance compared to their DRAM infused counterparts. When garbage collection has to kick in while the SSD is actively being used, DRAMless SSDs can sometimes slow to a crawl. Most of the SSDs at the bottom of our PCMark 8 chart are representatives of such. As you would expect, the Mushkin Source we are reviewing today isn’t immune to this, but, with such low prices, it is priced competitively for its performance. And, the 500GB model at least has a large enough SLC write cache to offset most performance degradation due to its inherent handicap. The Mushkin Source just might be a decent buy for those looking for a cheap SSD upgrade, but before you decide to click buy, check out how it performs for yourself as we dive deeper into our review. 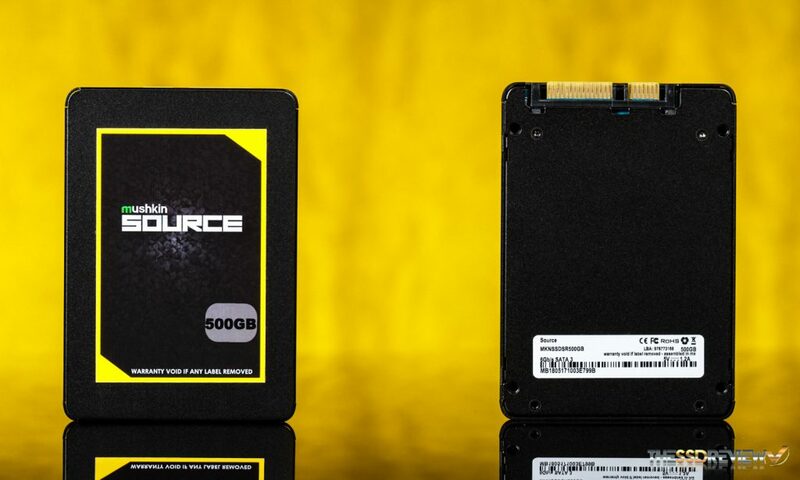 The Mushkin Source is a SATA 6Gb/s SSD that comes in two form factors, 2.5″ 7mm and M.2 2280. It is rated for speeds of up to 560MB/s read and 520MB/s write. As well, it is rated for up to 75K/81K IOPS read/write in 4K random performance. It is available in four capacities, 120GB ($28.99), 250GB ($48.99), 500GB ($82.99), and 1TB ($158.99). The endurance of the drive is not listed on Mushkin’s website, but it is covered by a 3-year warranty. It features Mushkin Enhanced Data-Protection Suite, M.E.D.S., for short. This is entails built in low-density parity-check error correcting code (LDPC ECC) and StaticDataRefresh to ensure data integrity. It also includes data shaping and global wear-leveling techniques to enhance endurance. Furthermore, the Mushkin Source supports the basics: S.M.A.R.T., TRIM, the secure erase command, DevSleep, and has a working temperature sensor to boot. On top of this, there is SLC caching which helps to accelerate burst write performance. The Mushkin Source comes in a clear blister package. We can see the drive clearly on the front and on the back an included thank you note. There is also a provided Mushkin Enhanced sticker for those of you who love to sticker-bomb your PCs, a nice addition. The drive itself features a sleek, lightweight all-metal case that is accented by a black and yellow graphic on the front and has a small white label on the backside. On our scale, it tips in at just under two ounces. The PCB is single sided. 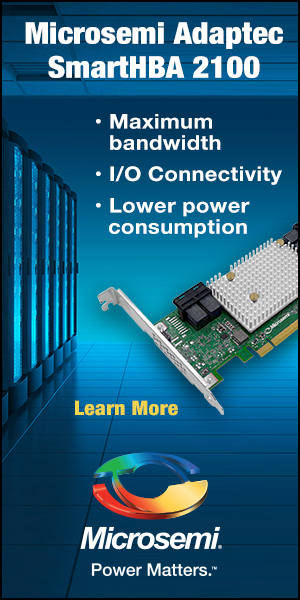 It hosts four Micron 64-layer 3D TLC NAND chips, each 128GiB in capacity. With a marketed capacity of 500GB, Mushkin is utilizing a little bit for over provisioning to help improve the performance. Once formatted in Windows the user addressable capacity is 466GB. As you can see, the PCB is bare of any DRAM. As mentioned earlier, the controller is Silicon Motion’s DRAMless SM2258XT. 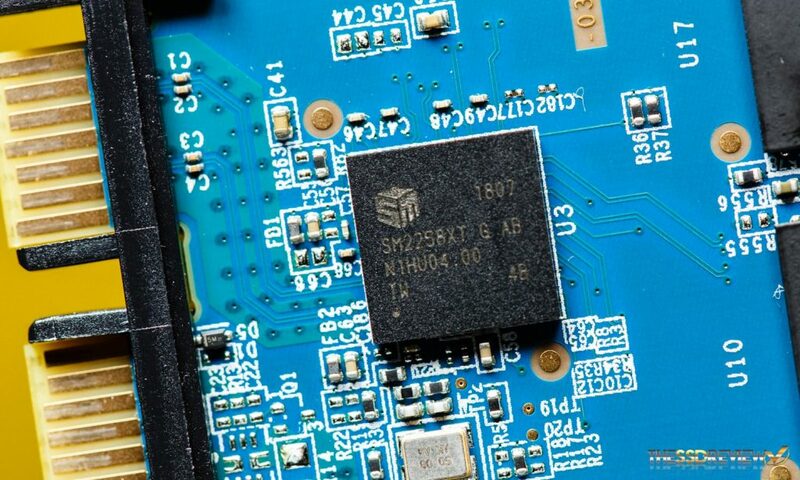 While this inherently has brought with it performance slowdowns in drives we have seen, let’s keep our minds open to the Mushkin Source’s implementation and see just how much performance this little controller has to offer.